This vase was made in Turkey and still has the original plastic label. 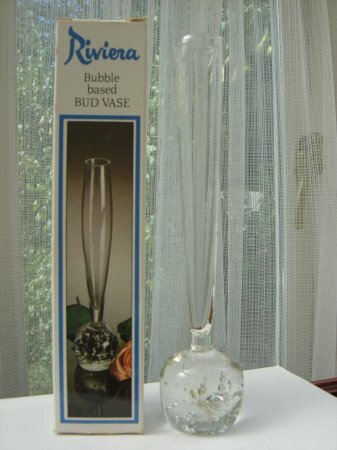 The vase is approximately 200 mm (8 ") tall. 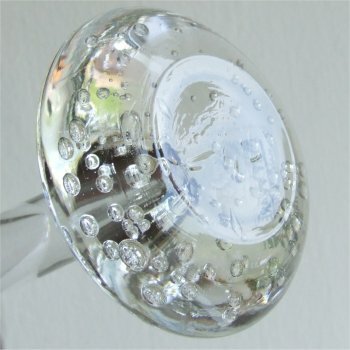 The base is a flattened ball and has random bubbles. There is no join on the widest part of the base, but the sharp angle makes it look almost like it has been made in two halves. It has a slightly concave bottom. 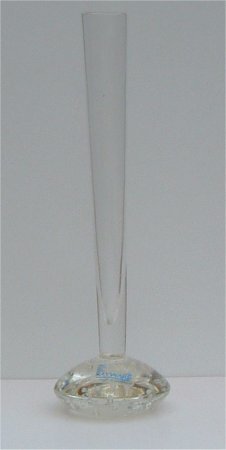 The stem has a narrow flare being approximately 23mm (15/16ths of an inch) in diameter. 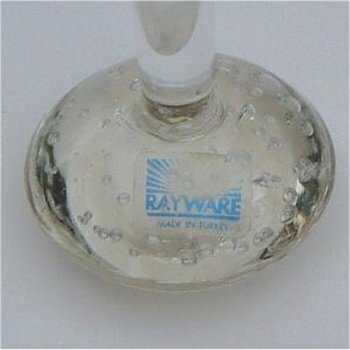 The clear plastic label (see close up image) has light blue wording 'RAYWARE MADE IN TURKEY' with a sunray design above. 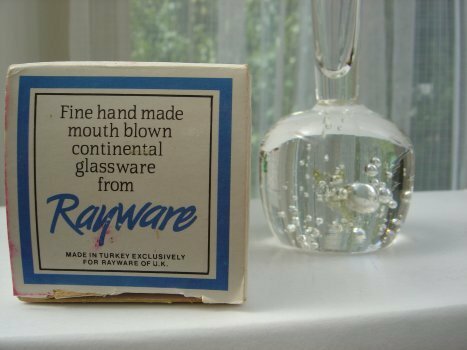 The pictures below were kindly sent by Tina Thompson which shows another Rayware vase also made in Turkey, complete with box.